The National Weather Service has issued a Wind Advisory from late Wednesday night through early Friday morning. Forecasters say wind gusts could reach 50 miles per hour along and west of the Blue Ridge, especially in higher elevations. The weather service says that could cause some tree limbs to break and fall, and sporadic power outages are possible. 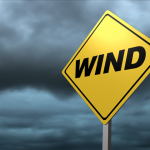 The National Weather Service: A Wind Advisory is in effect from 10 PM this evening to 6 AM EDT Friday. Locations: along and west of the Blue Ridge, especially the higher elevations. Timing: Tonight and continuing through Thursday and Thursday night. Impacts: Small tree limbs may break and fall. Sporadic power outages are possible.